Hey, i've added new Ang Pow Collection to my Ang Pow collection slide show. Have you noticed the additional collection? 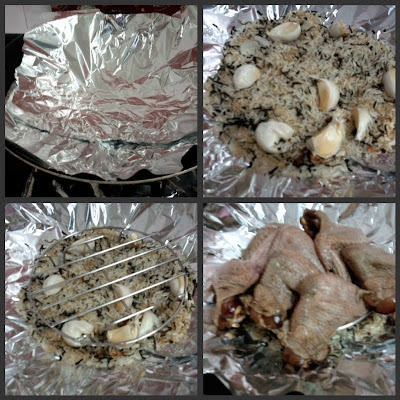 I have been wanting to test out this recipe given in Luxuryhaven's blog - Tea Smoke Chicken. Luxuryhaven's blog always got surprises for you. If you have the time, do visit. Very interesting. Btw, it's luxuryhaven's blackswan that thought me how to do the link to lead you to another post or blog directly. As i'm a complete "idiot" when it comes to IT gadgets. Lolz........ Tks BLACKSWAN! Back to the tea-smoke chicken, today i managed to find time to test it out. 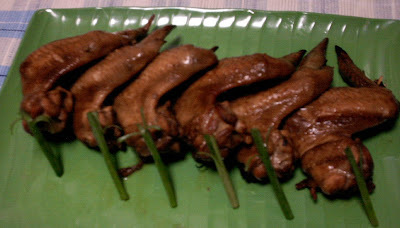 However, instead of using the whole chicken, i used chicken wing instead. I have also rewrite the recipe for easy reference and safe keeping in my bon appetite blog.